Harriet Morison – In 1911 Harriet was treasurer of the NZ Unitarian Conference, in 1918 she was a member of the AUC management committee and from 1923 out first chairwoman. Prior to her involvement at the Auckland Unitarian Church, Harriet Morison had already secured her place in history. 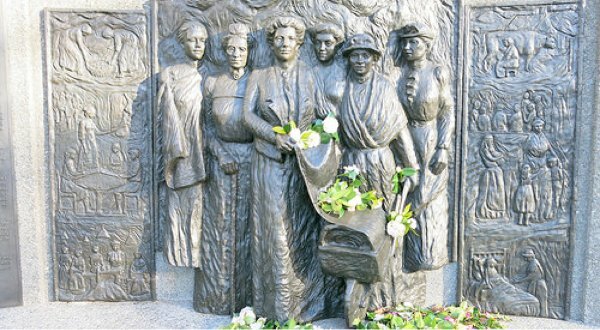 She is one of the five women portrayed with Kate Shepherd in her Memorial in Christchurch for her work to win women’s suffrage. 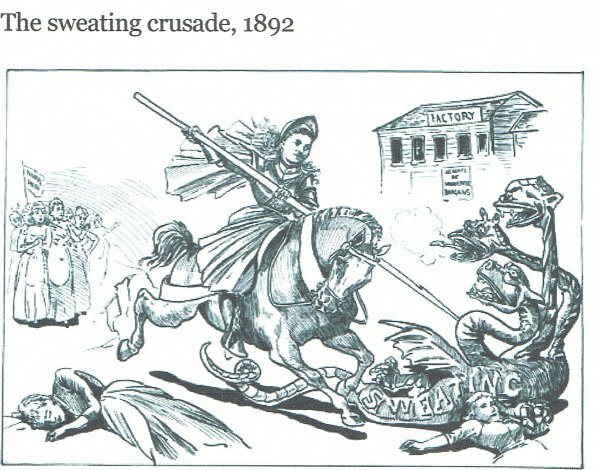 This cartoon shows union secretary Harriet Morison crusading against “sweating” – work in poor conditions with low pay. 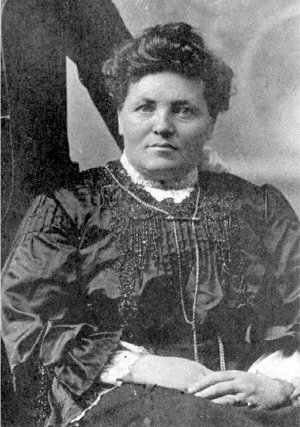 The working conditions of women workers in clothing factories in Dunedin and other centres attracted criticism in the late 1880s and early 1890s, when employers wanted to cut costs because business was slow. The Tailoresses’ Union was set up in response. 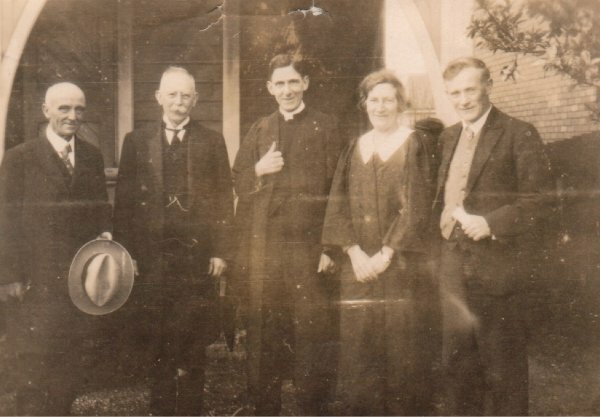 James Chapple, William Jellie, William Constable, Wilna Constable, R J Hall on the occasion of the Constable’s Installation as ministers of the Auckland Unitarian Church. 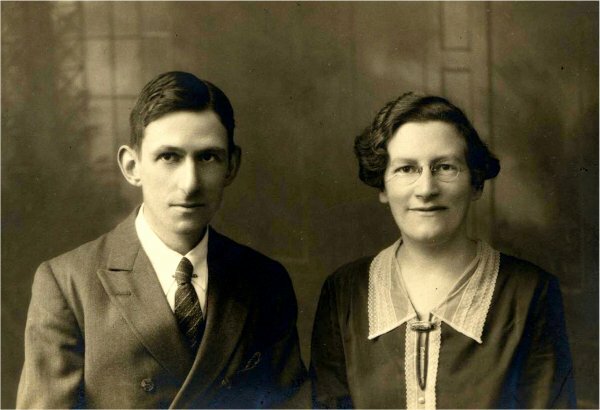 William and Wilna Constable had a very successful joint ministry 1929 – 34. Wilna had the distinction of being the first woman minister, outside Salvation Army officers or visitors, in NZ and through lobbying got a change in the Marriage Act to allow women to officiate at weddings. Wilna was on the Auckland executive of the National Council for Women and ensured they led the lobbying. During their ministry, Sunday services were broadcast on National Radio. After their departure, William Jellie once again stepped into the breach for two years. During this time he joined with the Rationalist Society to oppose Bible in School. This is one of two works of liberal theology he published in 1924. Follow the link for an online version, either as a webpage or in several eBook formats. His other 1924 publication “The Divine need of the rebel” is available here too. 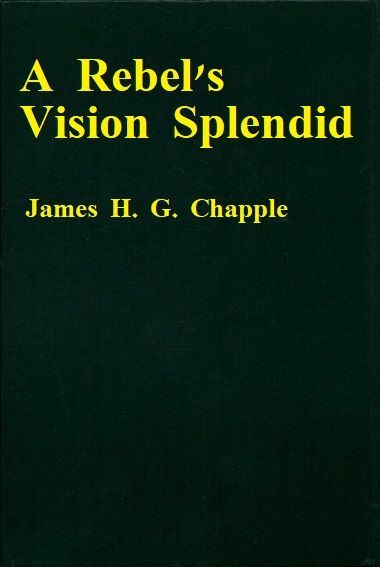 James Chapple was a notable figure over three decades in New Zealand Unitarian history. 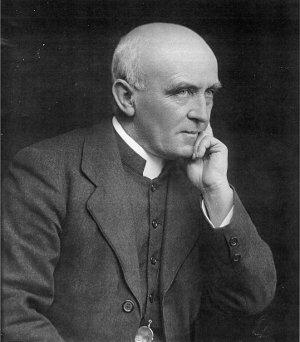 Originally a Salvation Army officer, James Chapple became ordained as a Presbyterian minister in 1903 but resigned from the church after chairing a public meeting for the noted English Rationalist, Joseph McCabe. 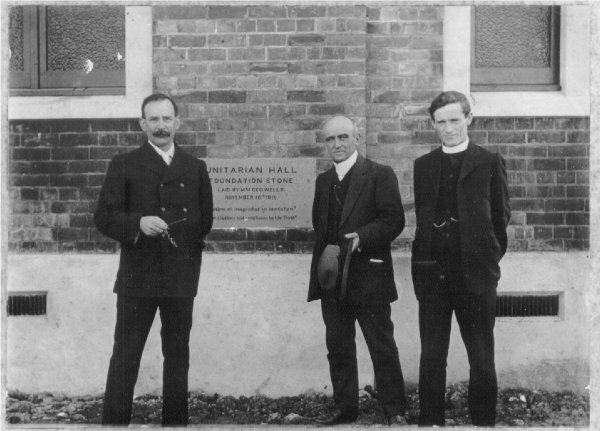 Chapple then joined the Unitarians and went on to open a Unitarian church in Timaru in 1912. 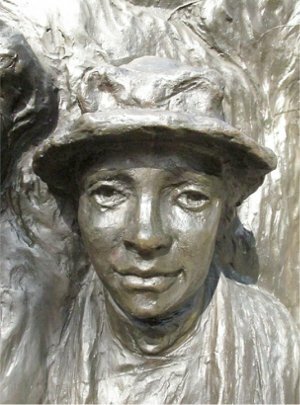 Due to Chapple’s opposition to World War I, he left for America in July 1915 with his wife Florence and 13 children, where they stayed at Oakland, California. There he engaged in anti – war work and socialism. When America entered WWI in 1917, he returned to New Zealand and started a Unitarian Church in Christchurch. to war. What for? To die for its country? No; to die for the profiteer. Upon release he returned to the Christchurch Unitarian Church where he served until 1925. 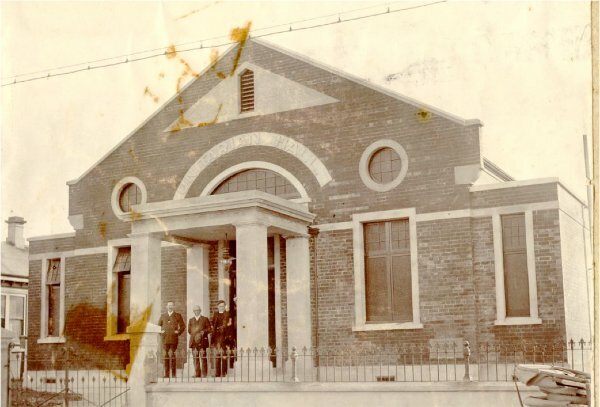 Although now in retirement, William Jellie returned to the pulpit in the Auckland Unitarian Church prior to the outbreak of World War II. 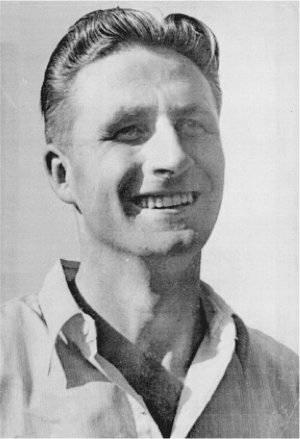 The church found it impossible to arrange a replacement minister and turned to Ken Thomas (1903–1978) to provide lay leadership. James Chapple was included in a three – way ministerial roster. You can find a slightly fuller version of this history of James Chapple in the spring 2015 edition of Quest – Journal of the Australia New Zealand Unitarian Universalist Association, pp 6&7. Owen Glenbrook Hansen was the youngest of nine children, Owen had eight older brothers and a sister. He was born into a farming family in the Waikato. His parents were married by William Jellie in 1904. His father would later write that: “As for religion, we parents are free thinkers. We adhere to the good points in all religions and reject any portion of each religion which conscience or reason repels,” Owen was well aware of his mother’s Unitarianism. In his Diary he records a visit to the Auckland Unitarian Church on Sunday 1 February 1931, when he would have been seven years old, noting how they “saw Mr and Mrs Constable on the way home.” Later Owen recorded in his Diary how he had listened on the radio to the evening service from the Unitarian Church on 31 May 1931. He and his family were also vegetarians. He would write: “Part of vegetarianism is the belief that you shouldn’t kill animals unnecessarily. In a way this consideration for others is similar with Christian values of life.” It was during the inter – war period that pacifism and vegetarianism became closely allied, as the ethical views of both philosophies realised they had a common acceptance of the unity of life, be it human or animal. In 1942 aged 19 Owen was called up for military service. Having passed the medical Owen decided not to report for duty at Hamilton. He appealed against military service on the grounds that he was a conscientious objector, but the appeal was declined and he was ordered to report for non – combatant service in the medical corp. When he failed to report for duty he was sentenced to a detention camp for the remainder of the war. 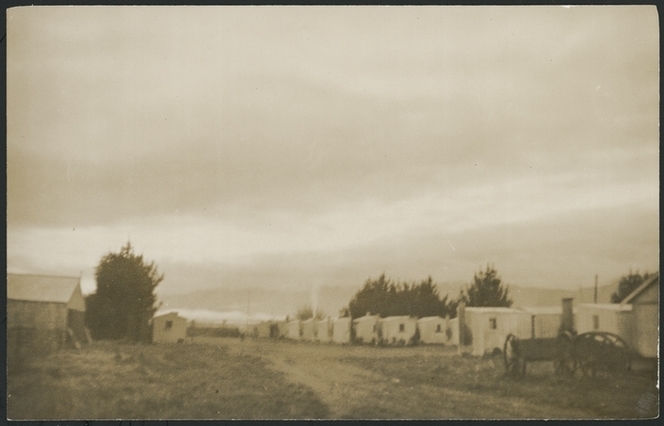 There were 13 detention camps in New Zealand containing 803 men during WW2. 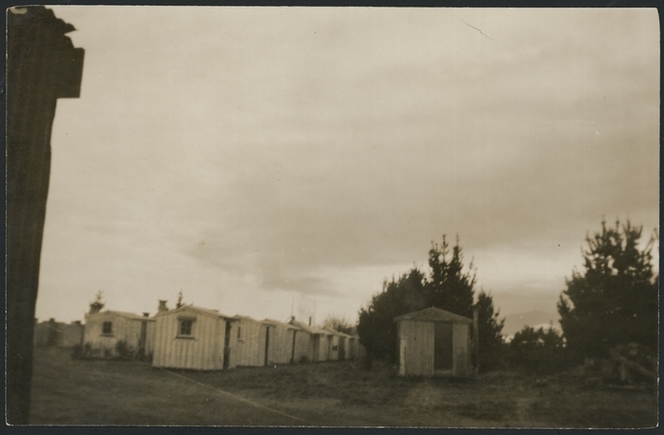 Conditions at the camp varied, during summer inmates were usually given four blankets with an extra blanket in winter; there were no matresses. Men worked in gangs digging drains, cutting scrub, farming and producing food for themselves. For the vegetarian prisoners it was a struggle to obtain sufficient food to eat. They had access to books; Owen thought he read about 150 books during his detention. 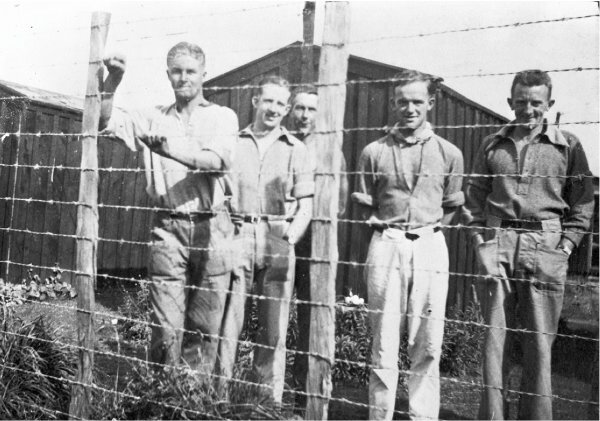 By 1946 when he was released (a year after the war finished in Europe and nine months after the Pacific war ended) Harold had been in prison for almost four years and Owen for three and a half years, including four months solitary confinement with 52 days on bread and water punishment for disobeying orders by visiting his brother Harold. It was in the 1960’s that he began taking an interest in the Auckland Unitarian Church, making the long drive from Orini to Auckland on a Sunday morning. He would be seen three or four times a year and formed friendships with a number of its members and enjoyed the fellowship. Owen continued his visits for the next forty years.